Friends are invited to share their projects created with fiber and yarn from Meridian Jacobs. We invite our friends to share their projects created with fiber and yarn from Meridian Jacobs. 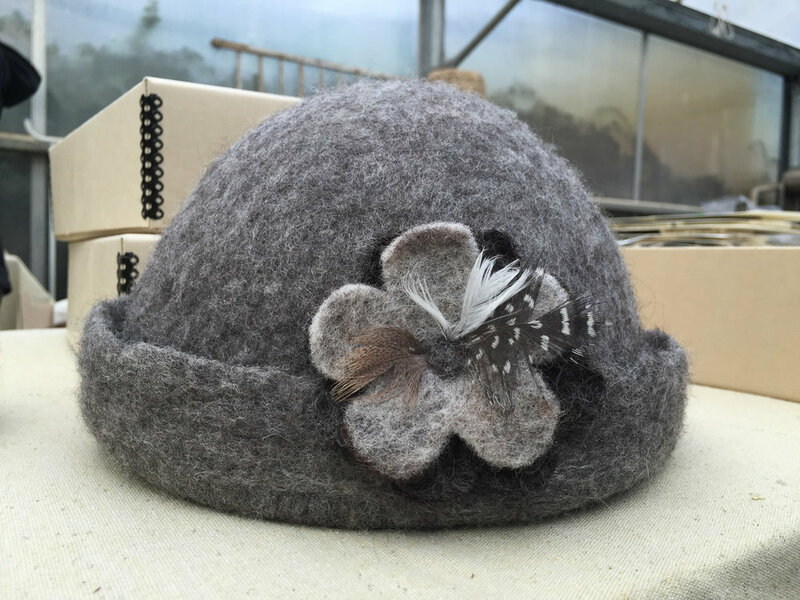 Colleen Simon of Fiber Confections felted this hat from our Jacob wool. Scarf with some of Cynthia’s first handspun Jacob wool. She wove this on the rigid heddle loom after taking the Learn to Weave class. 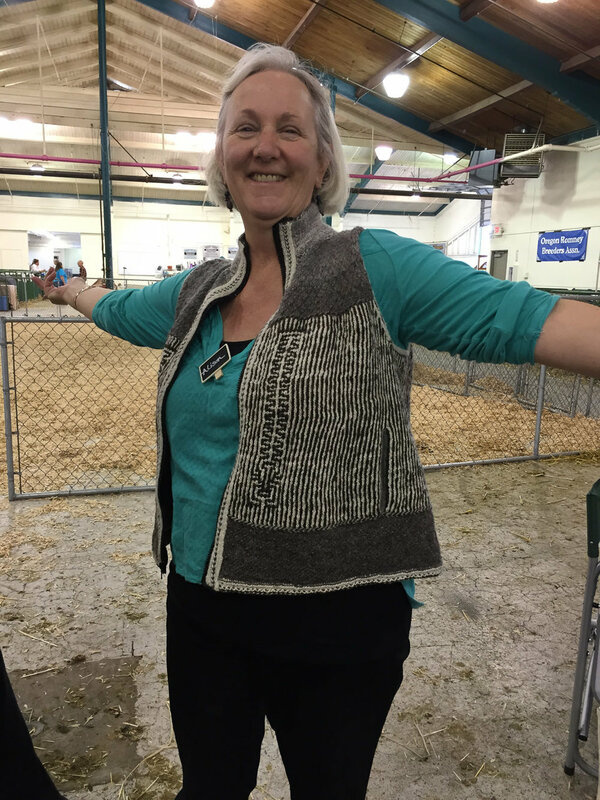 Alison spun Jacob wool into a 4-ply yarn and used it to knit this vest. Doris separated colors of a Jacob fleece, spun a fine yarn, and knitted this award-winning shawl. Socks knit from Solano County wool yarn. 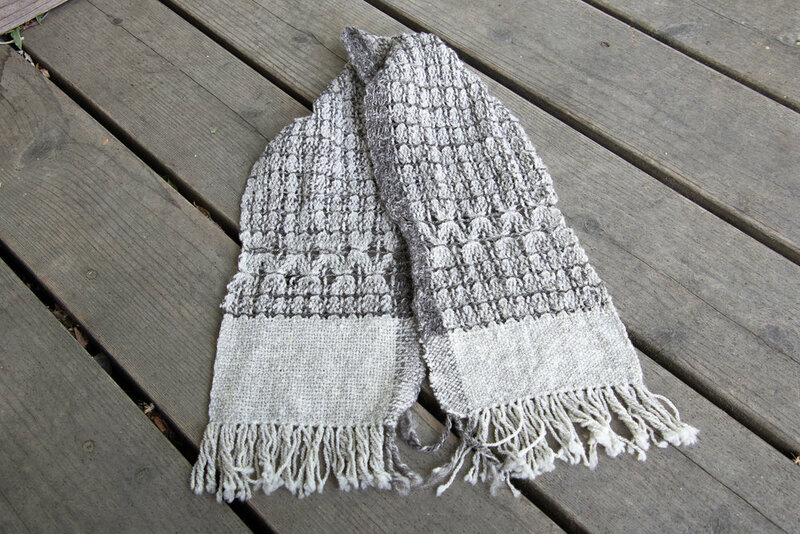 This is Cynthia’s first handwoven piece, woven in the Learn to Weave-Rigid Heddle Class. She used her handspun yarn (and had learned to spin only the week before).